Stand clear of the closing doors, please! In Transit is heading to the Great White Way. Performances are set to begin on November 10 at the Circle in the Square Theatre. The tuner, which previously played at Primary Stages in 2010, follows a group of 11 New Yorkers as they navigate the streets (and tunnels) of the city. Members of the ensemble take on multiple roles, including an aspiring actress, a Wall Street honcho, a street performer, a cab driver and more. 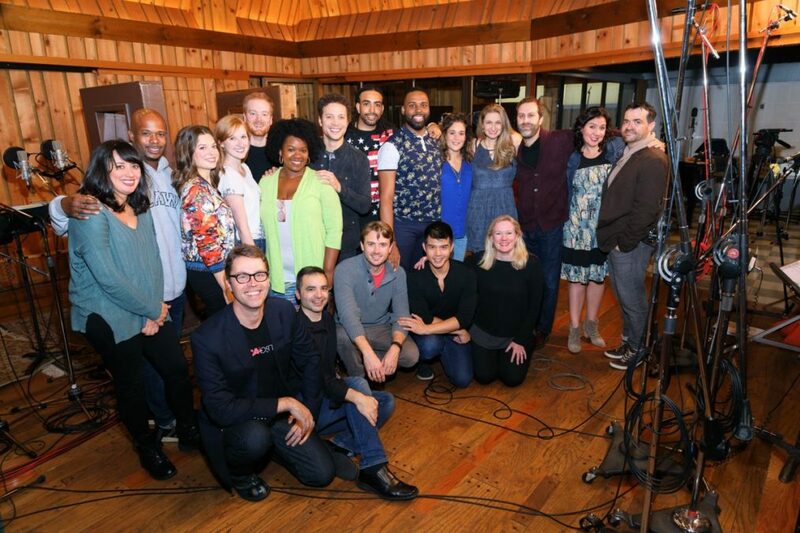 The cast and creative team includes Mariand Torres, Chesney Snow, Margo Seibert, Erin Mackey, David Abeles, Moya Angela, Justin Guarini, Steven "HeaveN" Cantor, Nicholas Ward, Gerianne Pérez, Sara Wordsworth, Russ Kaplan, Laurel Harris, Adam Bashian, vocal arranger Deke Sharon, James-Allen Ford, James Snyder, Telly Leung and director Kathleen Marshall. Opening night is set for December 11, and we can't wait to get on board! Check out our hot shot of the cast and creative dream team!